As good parents, we desire nothing but the best for our children. We wanted to give them everything, make them happy, and support their endeavors. We give our very best to guide and protect them from any danger they might encounter. Hence, part of being a good parent is to let our children learn things on their own for them to be independent. One way of teaching our children on how to live independently is to send them off to a summer camp. In camping, there are a lot of activities and adventures that will help them develop their lifelong skills while they are having fun. But, as we send our children off to camps, we need to make sure they’ve got all the things they need for camping, so, we should do the packing. Packing can get stressful sometimes. We might not know what to pack, or how to start packing. Nevertheless, the information below will lessen your stress and help you know the essential things to pack. So keep reading and help yourself. Now, before anything else. There are things that you need to consider before you start packing your child’s camping wardrobe. Reading the Camp’s Supplies. Before you do the packing, see to it that you have thoroughly read the camping site supplies. There may be things that you don’t have to include as it will be provided in the campsites. Items like towels and beddings can be one of these things. Wash All New Clothing. Make sure that you wash all your child’s new clothing before packing them to avoid skin rashes. Do the Labeling. Mark every item that your child will be taking, put his or her name or initials on it to avoid item loss or interchange of belongings with other campers. Make a List. The most important thing to do before packing is to make a list. Write down all the necessary things that your child will need when he or she is in the camp. Doing this will ensure that you won’t forget every single item that is necessary for camping. Calculate the Days. It is essential that you count the number of days that your child will be off for camping. Calculate how much clothing will he or she need when in the camp. 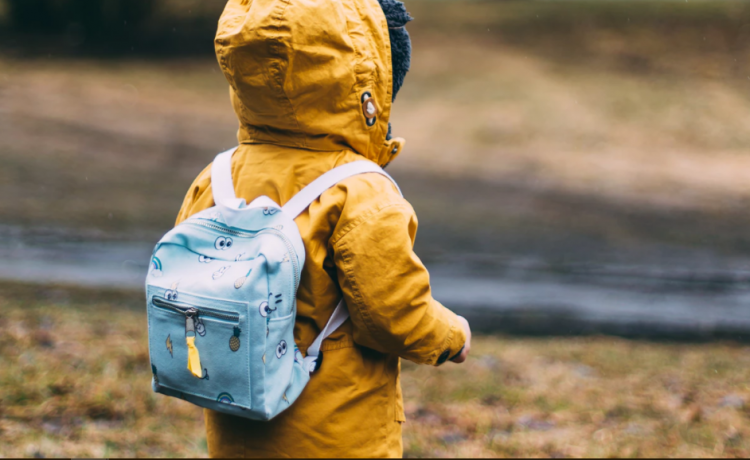 Pack enough clothes for them to last one-and-a-half times the number of camping days, because there may be no laundry services provided in your child’s camping area. When packing for your child’s camping wardrobe, it’s best that you choose the right packing storage. Camping bags or other storage can make or break the excitement of your child when he or she is off for a summer camp. Pick a bag that can hold all your child’s belongings but won’t make them feel uncomfortable. Make sure the packing storage you choose won’t make your child have a hard time to cope up with other campers. The key is to select durable storage that would fit his or her size. After you learn the things to consider before you pack as well as the storage you should use for packing, start loading up for your child’s summer camp needs. To make sure that you know won’t forget a thing, here’s a list of essential things that your child needs in camping that you should consider. As much how we wanted to protect our children, we parents should also teach them how to live independently. Sending our child to a summer camp is one way to teach them how to stand up on their own. As we send them off to a camp, we should also make sure to pack the essential things that they need when they are in camp. Thus, packing a summer camp wardrobe for your child can be stressful, but the information above can lessen your stress upon packing. Moreover, you might consider visiting sites like Luggage Online for your packing needs.